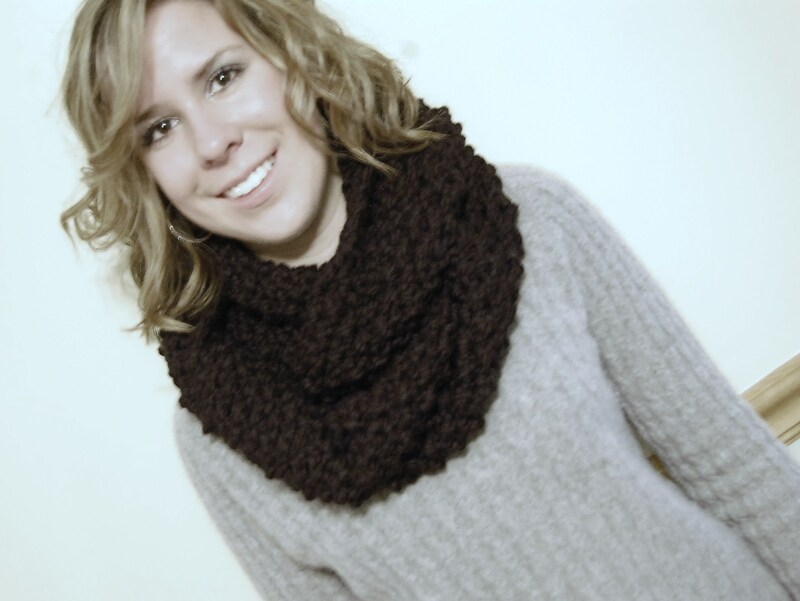 My love affair with cowls continue, and that’s good news for you. Usually when I’m obsessed with things, I create patterns for those things so I can love them even more. 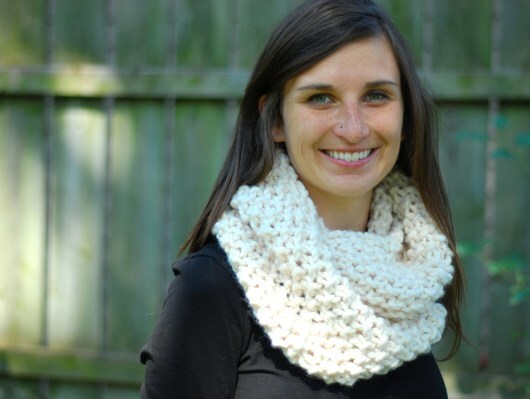 I just wrote a post about cowls that includes a great sampling of crocheted and knitted designs. 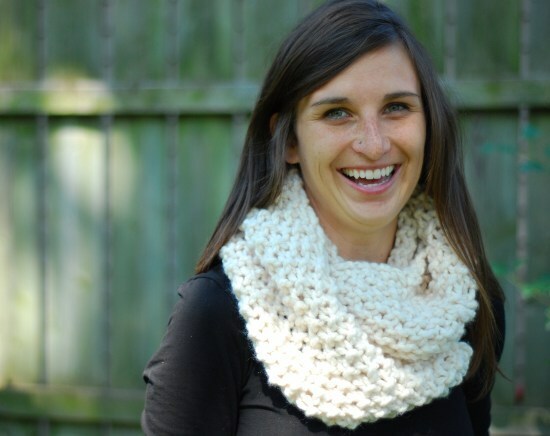 Of the bunch, one of my favorites is a thick, squishy, absolutely-chunky, knit cowl. It’s a simple pattern. So simple you’ll hate yourself for not thinking it up first (although I’m sure this isn’t the first time this cowl’s been made). 1.5 skeins (160 yards) Lion Brand Thick & Quick – Wool Ease. You can also use any extra-chunky yarn. Work Moss Stitch until you run out of yarn. Repeat Row until you have about 3 feet of yarn left. Cowl will measure 8.5 inches wide; 70 inches long. Voila! 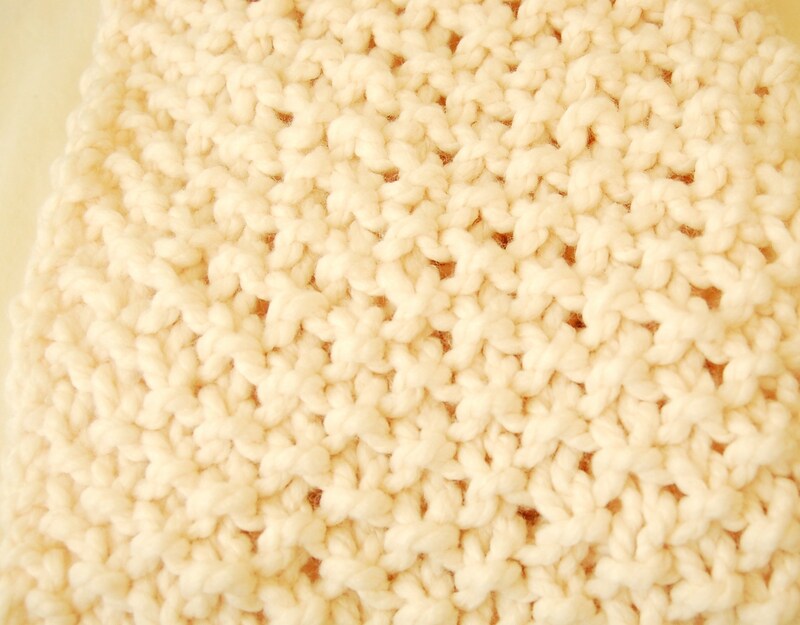 Close up of knit “Moss Stitch” – See how the purls are worked on top of the knit stitches to give you little bumps?